The ABC's of Nuclear Science is a brief introduction to Nuclear Science. We look at Antimatter, Beta rays, Cosmic connection and much more. Visit here and learn about radioactivity - alpha, beta and gamma decay. Find out the difference between fission and fusion. Learn about the structure of the atomic nucleus. Learn how elements on the earth were produced. Do you know that you are being bombarded constantly by nuclear radiation from the Cosmos? Discover if there are radioactive products found in a grocery store. Do you know if you have ever eaten radioactive food? Find out what materials are needed to shield us from alpha, beta, gamma, radiation. Discover what have we gained by its study. Do you want to know about the modern concept of the nucleus? How nuclear physicists view the nucleus? How could anyone measure something that small? Do you know how we find new elements? What are accelerators used for? What is radioactivity and is it dangerous? What do nuclear physicists really do? We also have a PDF version for you. High School teachers and students can find simple experiments that can be used in a Chemistry or Physics class. These experiments can be done in a classroom with inexpensive equipment. At this site, students and teachers at all levels can learn about the objects that produce the known and identified mass of the Universe. The rest is made of Dark Matter and Dark Energy which are science mysteries and are described in other websites. 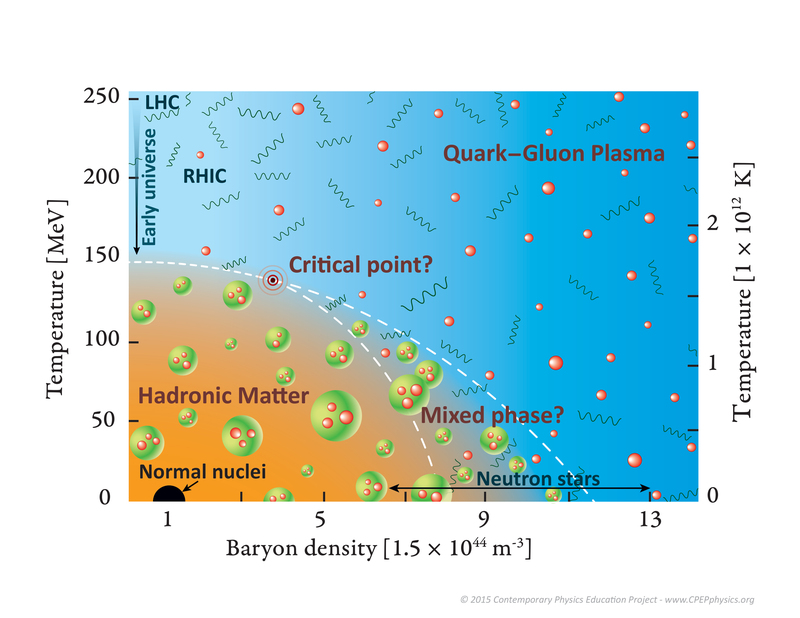 View the new Phases of Nuclear Matter diagram.